Odd Call Signs on the Loose -- Be on the Lookout! In comments filed on March 20 with the FCC on its own January Petition for Rule Making (RM-11785), ARRL reiterated its case for a contiguous secondary 15-kHz wide, 60-meter band of 5,351.5 to 5,366.5 kHz in addition to the four existing discrete 60-meter channels that fall outside the requested band, with a permitted power level of 100 W EIRP and retention of current operating rules. More than 5 dozen comments, all supporting the proposed allocation, were filed on the League's petition. While some suggested more spectrum or higher power, or a combination, ARRL said in its comments that it does not at this time favor any changes in its initial request for a new band. The League proposal would implement a portion of the Final Acts of World Radiocommunication Conference 2015 (WRC-15) that provided for a secondary international amateur allocation of 5,351.5 to 5,366.5 kHz at a maximum of 15 W EIRP. "Each component of this proposal is intended to maximize spectral efficiency by permitting amateurs to operate throughout a band as conditions and availability warrant; to give primary service operations certainty as to where radio amateurs will be located within the broader fixed and mobile service band between 5.250-5.450 MHz; and it protects those primary users with the same successful interference avoidance techniques and protocols that have been used for the past 15 years domestically, with which radio amateurs have the technical training and experience to comply," ARRL asserted in its comments. The League said the WRC-15 power limit of 15 W EIRP "would render the band unsuitable for emergency communication, especially between the US mainland and the Caribbean Basin during summer storms and hurricane season, when atmospheric noise can be severe. ARRL said there were good reasons for hewing to the proposal it initially crafted and filed with the FCC, most relating to the fact that the spectrum is shared with federal government users, and radio amateurs must avoid interfering with them. ARRL also pointed out that there is no "European Model" for 5 MHz, noting that the vast majority of European countries have held to the 15 kHz agreed to at WRC-15, and some even to the 15 W EIPR power limit. The National Telecommunications and Information Administration (NTIA), which regulates government spectrum, would have to sign off on any proposal, and, ARRL noted, it has twice expressed concern about a contiguous allocation at 5 MHz and did not favor the plan agreed to at WRC-15. "While ARRL understands and agrees that there is a long-term, justifiable need for an allocation at 5 MHz that is larger than the 15 kHz made available at WRC-15, and there is a very practical need for power in excess of the 100 W PEP requested in ARRL's Petition, there are practical considerations inherent in the ARRL Petition that stem from an urgent and ongoing need to share the amateur allocation compatibly with other, primary users," ARRL said. "The Amateur Service must, of necessity, avoid interference to the primary users of this band (which it has, to date) in order to be permitted to operate there." 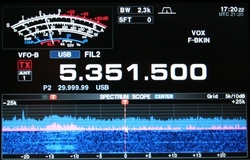 Citing its decades-long effort to obtain operating privileges in the vicinity of 5 MHz, ARRL said there's "not really much room for debate about the size of the band and the power limit domestically at the present time, given the allocation status of the band (domestically and internationally) and the necessary interference protection requirements for primary users." "It is hoped that as regular amateur operation in this contiguous band develops, with the operating parameters recommended in ARRL's Petition," the ARRL comments continued, "such operation will continue to demonstrate compatible sharing with federal and other users and the operating parameters and the band can be re-examined and adjusted equitably at a later time." ARRL said the most important thing is to have the FCC grant an allocation before offering initiatives to alter the plan it proposed in January. It urged the FCC to adopt the rule changes it proposed "at the earliest possible time, if at all possible in advance of the 2017 hurricane season." ARRL is reaching out to members of the Maker movement to explore avenues of cooperation and collaboration, and perhaps to recruit some new radio amateurs. Considered an extension of the arts and crafts tradition, the Maker movement gained its own magazine, Make:, in 2005. The philosophy of the Maker movement is reminiscent of an era when radio amateurs built their own equipment rather than buying it off the shelf. Those considering themselves Makers have tended to focus on such areas as electronics and computers, robotics, 3D printing, metal and woodworking, and even Amateur Radio, among other avocations. 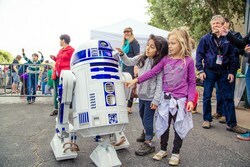 The Bay Area Maker Faire attracted youngsters and adults in 2016. Recognizing the similar characteristics of radio amateurs and Makers, the Ham Radio exhibition each summer in Friedrichshafen, Germany, has shared space with a Maker Faire, as Maker gatherings are known, for the past few years. Maker Faires in the US have attracted thousands more attendees than even the largest hamfest. 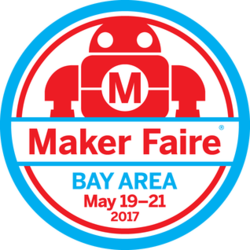 The "Hamvention" of the Maker movement takes place in San Mateo, California, and ARRL will have a presence at events in the Bay Area in May, and in Chicago later this year. "Maker communities and Makerspaces are springing up across the country, becoming the latest nexus of youthful aspirants and exotic technology, as well as the locus of highly innovative forms of experimentation -- including Amateur Radio," ARRL CEO Tom Gallagher, NY2RF, wrote in his Second Century editorial, "Make It Happen," in the April issue of QST. Gallagher considers Makers as "the next generation of hams." Any radio amateur who enjoys tackling an Arduino or Raspberry Pi electronics project for the shack should find some common ground in the Maker movement. Gallagher notes in his editorial that at last September's Maker Faire in New York City, a club in Queens offered a simple build-a-code-practice-oscillator project, provided by QRPme.com, that only required five components. "The attendees were lined up six deep in two lines," Gallagher recounted. "There is nothing to match the delight in the builder's eyes when he or she first experiences the joy of oscillation." He hinted that this could, in time, translate to new licensees. "Remote Antenna Tuners" is the topic of the just-released episode of the "ARRL The Doctor is In" podcast. Listen...and learn! Just ahead: "Speech Equalization, Compression, and Processing." Motorola Solutions has filed complaints in federal court (US District Court for the Northern District of Illinois), alleging that Hytera Communications' digital mobile radio (DMR) products employ techniques and systems that infringe on Motorola Solutions' patents and trade secrets. Already known for its Land Mobile Radio Service products, Hytera entered the Amateur Radio DMR market last year. Motorola alleges that proprietary and patented information was taken illegally by three former company engineers who now work for Hytera, as "part of a deliberate scheme to steal and copy" its technology. "Motorola Solutions believes that Hytera is intentionally infringing its intellectual property and misappropriating its trade secrets, which has enabled Hytera to compete unfairly by bypassing investment in innovation," Motorola said in a March 14 news release. Motorola Solutions General Counsel and Chief Administrative Officer Mark Hacker characterized the copying as brazen, blatant, and willful. The three former Motorola engineers all signed non-disclosure agreements, agreeing to treat all Motorola trade secrets as confidential, when they left the company to assume similar positions with Hytera. 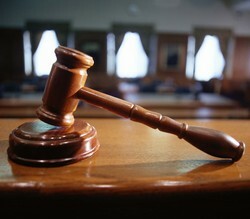 According to the lawsuit, none of the three disclosed beforehand that they intended to go to work for Hytera. Motorola contends that its digital radio products were rendering Hytera's analog systems obsolete, and rather than develop its own digital products, Hytera stole Motorola's ideas, its attorneys allege. Motorola said technology features it developed started showing up in Hytera products soon after Hytera began hiring engineers who had left Motorola in 2008, according to the lawsuit. 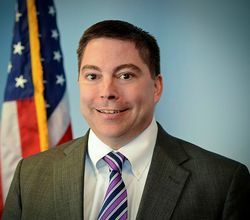 The owners of certain Amateur Radio towers have a friend in FCC Commissioner Michael O'Rielly, who feels that tower-marking provisions required under the FAA Extension, Safety, and Security Act of 2016, now Public Law 114-190, "could use tweaks." In a March 10 blog post, O'Rielly expressed his belief that thousands of tower owners in the US could face expensive, unnecessary retrofits resulting from the law's unintended consequences. The new FAA law would impose additional marking requirements for a small number of Amateur Radio towers, however. O'Rielly said §2110 -- the section of the new law that requires improved physical markings and/or lighting on towers of between 50 and 200 feet -- is too broad. O'Rielly said that §2110 appears intended to address dangers to small, low-flying aircraft, such as crop dusters, from temporary meteorological testing towers (METs), among others, but that if implemented literally, "the provision will force expensive retrofits to potentially 50,000 existing towers," including cell and broadcast station towers and all new towers meeting the law's broad definition, "all with little gain to air safety," he said. The law instructs the FAA to enact rules similar to state-level statutes now in place that are aimed at improving aircraft safety in the vicinity of METs set up in rural areas. In the wake of fatal crop dusting aircraft collisions with METs, often erected on short notice, the National Transportation Safety Board (NTSB) recommended in 2013 that states enact laws -- sometimes called "crop duster" statutes -- requiring marking and registration of METs. "Mandating new marking and/or lighting burdens for certain temporary aerial towers to aid agricultural pilots is a laudable goal," O'Rielly commented. "However, the new statutory provision may have been drafted broader than intended and, as a result, it unnecessarily captures permanent communications towers that have little overall impact on agricultural air safety." A marked meteorological testing tower (MET). While some state crop duster laws have exempted Amateur Radio towers, the federal legislation does not. ARRL General Counsel Chris Imlay, W3KD, has said, however, that the list of exemptions in the federal legislation restricts the application of the new rules to a very small subset of Amateur Radio towers. 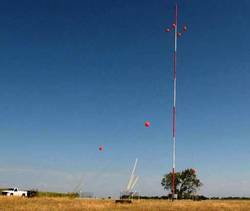 ARRL hopes to meet with FAA officials to discuss the issue. Although O'Rielly did not mention Amateur Radio towers as a concern, he did allow that a small legislative fix to exempt certain towers or to require the FAA administrator to do so "would be appropriate." The University of Virginia (UVA) reports that some of its engineering students are among those at other Commonwealth schools working on Amateur Radio satellites and matching ground stations to track them and collect data. UVA said its student-built satellite is set to go into space late next year aboard an International Space Station (ISS) resupply vehicle for later deployment from the ISS. The UVA project will be part of a joint mission with other Virginia universities to conduct atmospheric density studies, to gain a better understanding regarding the rates at which low-orbiting spacecraft slow down and ultimately leave orbit when encountering the drag of the atmosphere's outer edges. "We're building our own version of NASA's Mission Control, to communicate with our own spacecraft," said Christopher Goyne, a mechanical and aerospace engineering professor who serves as faculty adviser for the UVA project. "Our students have a lot of work to accomplish prior to launch, and during the 6- to 12-month flight mission." The CubeSat, which will operate in the 70-centimeter amateur band, will be the first developed and flown by UVA. Assembly and testing will be completed this summer. UVA's CubeSat is one in a constellation of three spacecraft being designed and built by students at UVA, Virginia Tech, and Old Dominion University through the Virginia Space Grant Consortium. Hampton University also is collaborating. Each university will operate its own ground station, and students will communicate with each other throughout the mission. They also are collaborating on many other aspects of the project. "One of the most worthwhile aspects of this project has been working with the student teams at Virginia Tech, ODU, and Hampton," said fourth-year student Colin Mitchell, KN4BBF, who is set to graduate this spring with degrees in mechanical engineering and physics. Mitchell is a member of the data and communications team, which is writing software for the UVA CubeSat and will handle the radio communication aspects. He and fellow student Tyler Gabriele, KN4BBE, studied for and obtained Technician licenses so they can test the radio gear, and other students associated with the project also will earn their licenses as the project develops. Goyne's group recently began work to construct the ground station, with assistance from the UVA Amateur Radio Club (W4UVA). 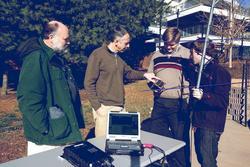 The Amateur Radio club will provide technical expertise and assist in the operation of the ground station. "We've got to configure this station properly and shake out any bugs before the mission starts," said Mike McPherson, KQ9P, a UVA ham club trustee and ARES Assistant Emergency Coordinator for Albemarle County. "We're going to spend about 6 months tracking other satellites as practice." Special event stations sporting unusual call signs are -- or will be -- on the air this spring and later in the year. From Canada's Yukon Territory, keep an ear open for XO1X, now on the air for the remainder of 2017, with plans to be active March 25-27 for the CQ World Wide WPX (SSB) contest. The special call sign prefix is permitted as part of Canada's sesquicentennial celebration, as is XK150YUKON, another Yukon Canam Contest Club call sign for the sesquicentennial, operating VY1JA remotely. Operators will include Gerry Hull, W1VE/VE1RM, Cary Rubenfeld, VE4EA, and others. "The XO1 prefix has not been on the air in 35 years," Hull told ARRL. "My friend Andy, VE9DX, last put it on the air as XO1ASJ." That prefix block was subsequently moved to Yukon Territory, he explained. OE17ATOM will be active from Austria starting at 2200 UTC on April 21 until 2200 UTC on April 22, operating on HF, VHF, and UHF from the only nuclear power plant that never was. The station will be set up inside the reactor hall and control room, and there will be a live video stream. Lower Austria radio clubs, the Icom Radio Club and Johanniter Unfall Hilfe-Austria organized the event. The solar array at the Zwentendorf Nuclear Power Plant. The Zwentendorf Nuclear Power Plant was never run, owing to the outcome of a national referendum. Today, the plant produces electricity from some 2,300 photovoltaic panels, which can generate 450 kW peak. From Croatia, 9A21RBM, on the air April 1-15, will commemorate the 21st anniversary of the plane crash near Dubrovnik in 1996 that claimed the lives of US Commerce Secretary Ron Brown and 34 others. Presumably the suffix stands for "Ron Brown Memorial." Members of Radio Club Libertas (9A4J) will helm the operation. The deadline is April 15 for schools and formal or informal educational institutions and organizations -- individually or working in concert -- to submit proposals to host Amateur Radio contacts next year with ISS crew members. Amateur Radio on the International Space Station (ARISS) anticipates that contacts will take place between January 1 and June 30, 2018. 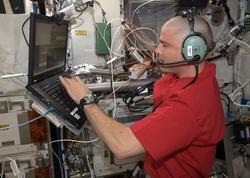 Crew scheduling and ISS orbits will determine the exact contact dates. Proposal information and documents are on the ARRL website. To maximize these radio contact opportunities, ARISS seeks proposals from schools and organizations that can draw large numbers of participants and integrate the contact into a well-developed education plan. Each FM-voice contact lasts about 10 minutes -- the length of a typical overhead ISS pass from horizon to horizon. Because of the nature of human spaceflight and the complexity of scheduling activities aboard the ISS, organizations must demonstrate flexibility to accommodate changes in contact dates and times. In the US, ARISS is a collaborative effort between ARRL and AMSAT, in partnership with NASA and the Center for the Advancement of Science in Space (CASIS). Contact ARISS for more information. ARRL "60-Second Century" Videos Preview QST Editorials: ARRL CEO Tom Gallagher, NY2RF, is now supplementing each of his QST "Second Century" editorials with a "60-Second Century" video. These videos offer a glimpse of the content in each month's QST editorial. ARRL began producing "60-Second Century" with the March QST editorial, and each video is posted on the ARRL YouTube channel, as well as made available through ARRL social media platforms (Facebook, Twitter, and Instagram). Videos will become available on the 10th of each month, when the digital edition of QST is released to members, and they will be archived. For his inaugural "60-Second Century," Gallagher hit the New England National Scenic Trail in Connecticut to review the success of the National Parks on the Air (NPOTA) program in 2016, the topic of his March QST editorial. AM Rally on April 1-3 Weekend an Opportunity to Try a Vintage Mode: If you're not familiar with full-carrier amplitude modulation (AM) or have never used it on the air, you'll have a chance during the AM Rally during the April 1-2 weekend, on the bands between 160 and 10 meters (except 30, 17, and 12 meters) plus 6 meters. Once the primary voice mode on the ham bands, AM eventually gave way to SSB, a form of AM. Yet AM has remained popular among dedicated radio amateurs who consider it their primary operating mode. Many modern transceivers include an AM button. "Whether your rig is software defined, solid state, vacuum tube, hybrid, homebrew or broadcast surplus, you'll be a welcome part of the AM Rally," said Clark Burgard, N1BCG, who is spearheading the event with Steve Cloutier, WA1QIX, and Brian Kress, KB3WFV. The AM Rally starts on Saturday, April 1 at 0000 UTC (Friday, March 31, in US time zones) and concludes at 0000 UTC on Monday, April 3. Certificates will be awarded to high-scoring stations in each of five power classes, both for most contacts and most states/provinces worked. The AM Rally website has full details. Ulrich Rohde, N1UL, to Receive Distinguished Achievement Award from IEEE Antennas and Propagation Society: Ulrich Rohde, N1UL, will receive the Distinguished Achievement Award from the IEEE Antennas and Propagation Society this summer. A formal presentation will be made at the IEEE Antennas and Propagation Society Symposium, July 9-14, in San Diego, California. The Distinguished Achievement Award cites Rohde's outstanding career achievement: "For pioneering work and contributions to the field of Antennas and Propagation, leading to development of wireless communication systems for industrial, military and space applications." In 2016, the IEEE Microwave Theory and Techniques Society honored Rohde with that year's Microwave Application Award, citing his "significant contributions to the development of low-noise oscillators." 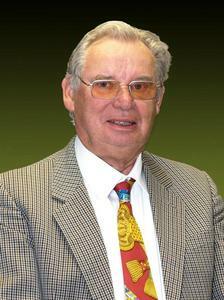 Rohde is the author of some 200 scientific papers and books, and has written articles for QST and QEX. Tad Cook, K7RA, Seattle, reports: The Sun just completed an extended period (16 days) of zero sunspots. None were visible on March 4, one showed up on March 5, and then there were none from March 6 through March 20. Finally, one sunspot group appeared on March 21-22, yielding a sunspot number of 12 for both days. Some explanation: Every group of sunspots counts as 10 points, and every sunspot within those groups counts for 1 point, so the minimum non-zero sunspot number is 11. The average daily sunspot number over the March 16-22 reporting week was 3.4, compared to zero during the previous 7 days. Average daily solar flux bumped up from 70.3 to 71.2. The average daily planetary A index increased from 8.1 to 10, and the average mid-latitude A index rose from 6.4 to 7.1. The mid-latitude A index is measured at one magnetometer at Wallops Island, Virginia, while the planetary A index is calculated based on a number of magnetic observatories, most in the Northern Hemisphere. 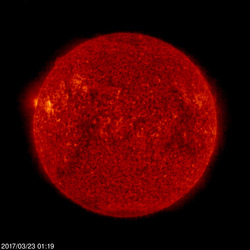 Predicted solar flux is 74 on March 23; 75 on March 24-25; 76 on March 26-29; 72 on March 30-April 4; 71 on April 5; 70 on April 6-17; 71 on April 18, and 72 for April 19-May 1. Predicted planetary A index is 20 and 14 on March 23-24; 8 on March 25-26; 20, 38, 24, 20, and 18 on March 27-31; 15, 20, and 15 on April 1-3; 12 on April 4-5; 10 on April 6; 5 on April 7-16; 8, 12, 20, 8, 5, and 8 on April 17-22, and 8, 35, 30, 20, 18, 15, 20, and 15 on April 23-30. For more information concerning radio propagation, see the ARRL Technical Information Service. For an explanation of numbers used in this bulletin, see "What the Numbers Mean, and Propagation Predictions -- a brief introduction to propagation and the major factors affecting it." An archive of past propagation bulletins is available on the ARRL website, and Carl Luetzelschwab, K9LA, offers additional propagation information and tutorials on his website. Sunspot numbers for March 16 through 22, 2017 were 0, 0, 0, 0, 0, 12, and 12, with a mean of 3.4. The 10.7-centimeter flux was 70.5, 70.5, 70.2, 71.2, 72.7, 71, and 72.5, with a mean of 71.2. Estimated planetary A indices were 6, 4, 2, 2, 3, 26, and 27, with a mean of 10. Estimated mid-latitude A indices were 5, 3, 1, 2, 2, 18, and 19, with a mean of 7.1.